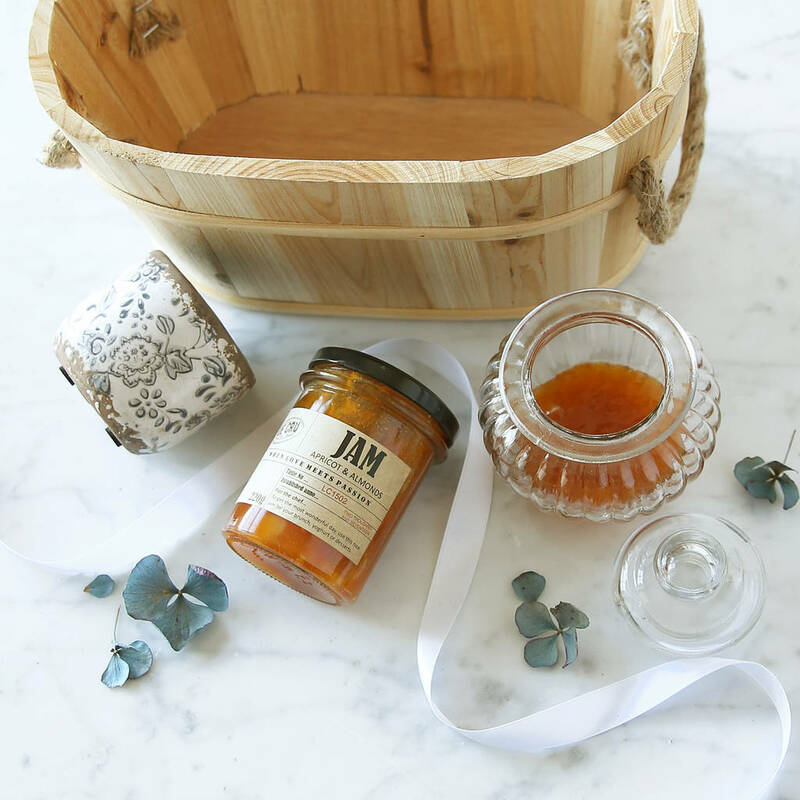 Elegant gift selection of treat of glassware and ceramics with the most delicious jam taking centre stage. 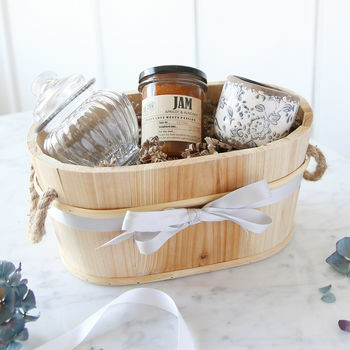 Wooden planter filled with a lovely selection of ceramics and glassware for the home and garden. 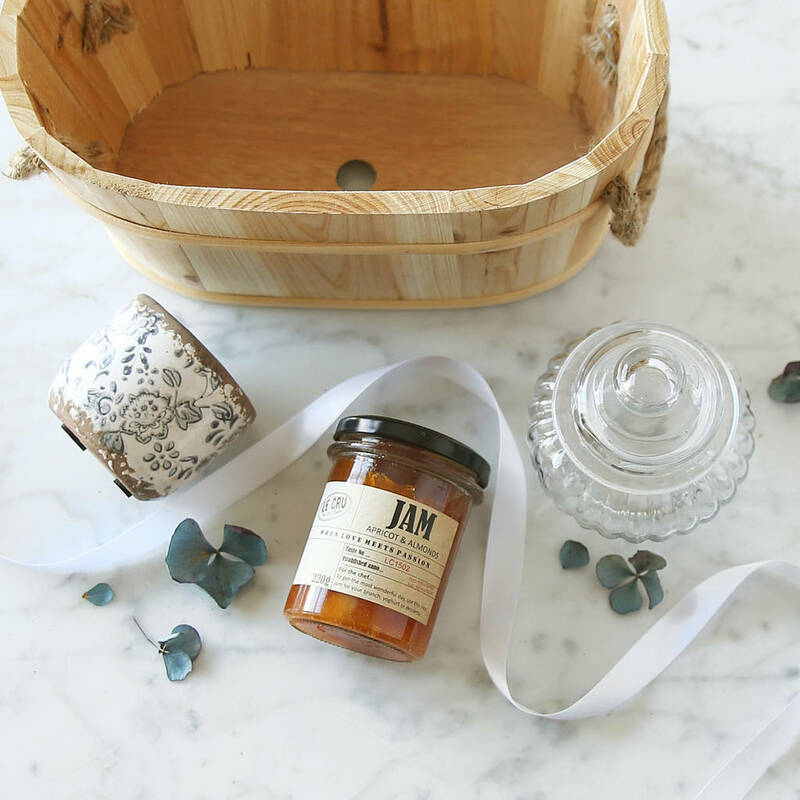 Gift set contents include an elegant glass conserve jar, delicious apricot and roasted almond jam and a delicately patterned little floral terracotta pot for a succulent or cacti. 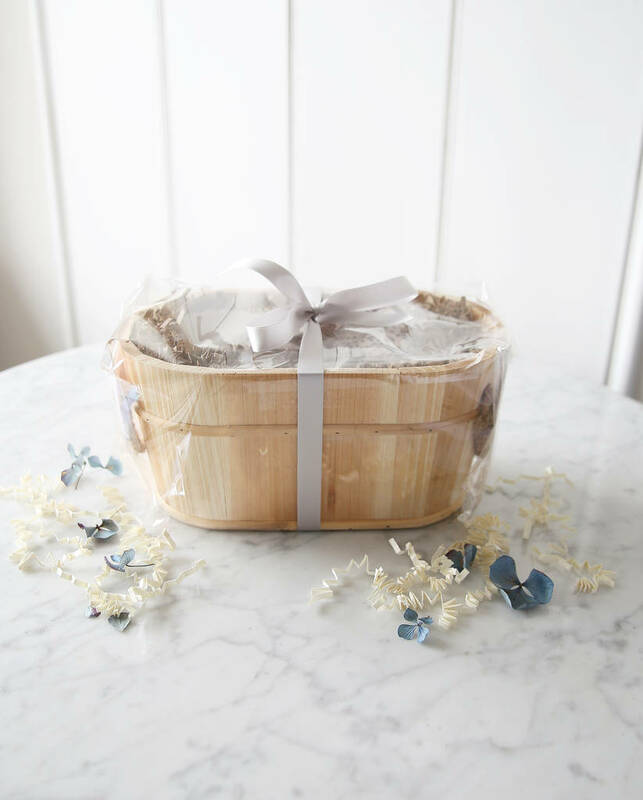 The gift set is presented in an oval wooden planter with rope handles, protective recycled shredded paper, recyclable cellophane wrapping and finished with a tied ribbon. All other product dimensions listed in main product desciption.